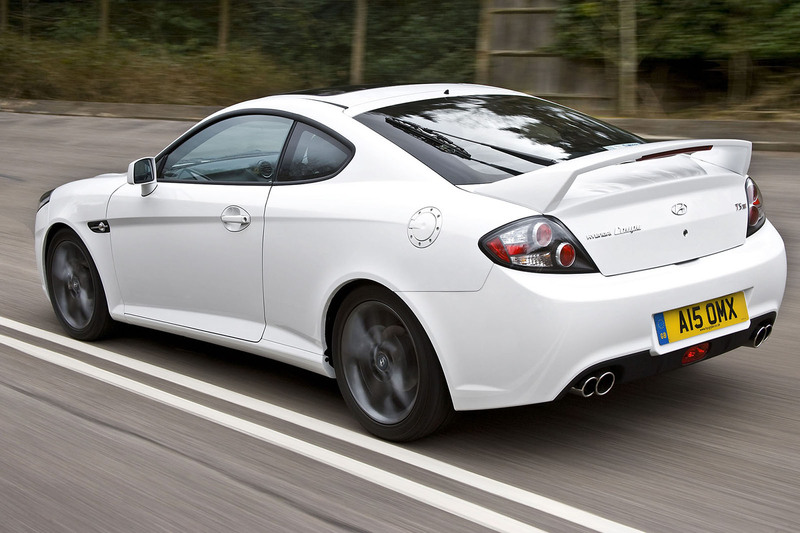 “It’s good-looking, handles well and has accurate steering and a decent interior”: an Autocar road tester describing the Hyundai Coupe SIII 2.0 in 2007. A five-star car, then? Alas, no. He criticised the engine for being unwilling to rev but what really got his goat was the price: £17,236. Fortunately, the used car market has the answer to that little problem, as ‘One we found’ shows. The 2007-reg Coupé 2.0 SIII in question is being offered for £2200 and, let’s face it, the seller is likely to accept £2000. That’s a bargain, even if Hyundai’s Click To Buy valuation service gives it an auction price of £1100. It’s a bargain because an SIII is still a good-looking car with a stack of kit, including leather, air-con, a sunroof and alloy wheels. Also, because it has been serviced regularly, and assuming there are no issues with the body control module (see ‘Buyer beware’), it should be trouble-free. The Coupé was launched in 2002 with a four-cylinder 136bhp 2.0-litre engine or a range-topping 167bhp 2.7 V6. A 103bhp 1.6 arrived a few months later. All three petrol engines powered the front wheels, on 1.6 and 2.0 versions through a five-speed manual gearbox and on the 2.7 a six-speed. A four-speed automatic was an option on 2.0 and 2.7 versions. The insurance-friendly 1.6 needed a depressing 11.0sec to cover 0-62mph and the best-selling 2.0 a sportier 9.0sec. The V6 took 8.1sec but what took the gloss off it was a change in road tax in 2007. Overnight it rose to £300. 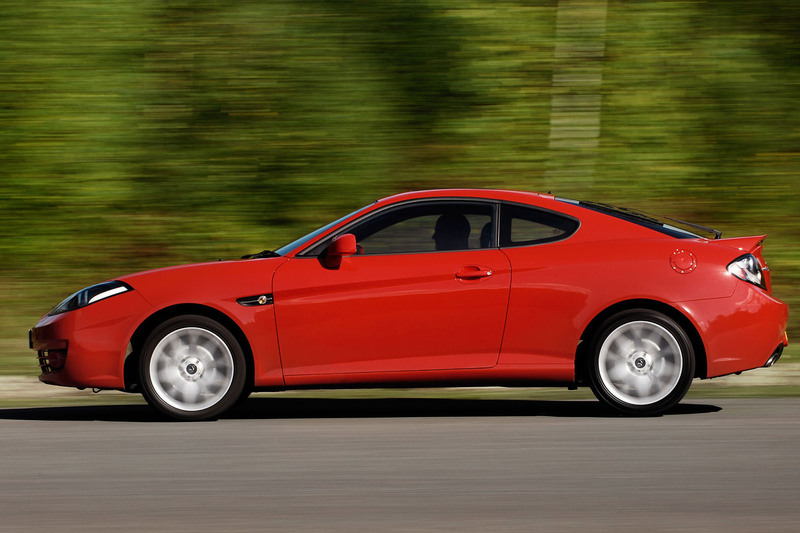 Today, it stands at £520 – about what the cheapest Coupés cost. The model’s apparent resemblance to the Ferrari 456 GT caused quite a stir at the launch. It was something to do with its long nose, curvy flanks, quad pipes, boot spoiler and air intakes aft of the front wheelarches. Such careless talk merely set the car up for a fall but not before reviewers had written approvingly of the cabin’s ample leg room and impressive rearward visibility, and its generously sized 400-litre boot. A mild facelift in 2005 added new headlights and nose, but it wasn’t until 2007 that the model received a much-needed shot in the arm with the arrival of the SIII generation. The all-new nose got narrower headlights and the cabin gained brushed alloy inserts, blue-backlit instruments and new seats. Throughout the model’s life, there were occasional special editions, including Yellow, Atlantic and TSIII, the last featuring sports suspension. Talking of which, given its bargain price, a decent used Coupé can form the basis of a good- value tuning project. The 2.0-litre engine especially is strong enough to take a gentle remap to 190bhp or more serious turbocharging or supercharging without mechanical mods. On top of this, fully adjustable sports suspension, lowering kits and brake upgrades are all available. So equipped, you’ll have a bit of a sleeper on the driveway that might even give a 456GT a run for its money–until you arrive at the first corner. ENGINE - Full service history is critical. Most reliability issues are caused by neglect. Services are every 10k miles or 12 months; cambelt changes every five years or 50k miles. The 2.0 engine can suffer misfires caused by spark plugs breaking down and allowing water into the HT (high tension) leads. The plugs should be changed ever 20k miles or two years. The V6’s platinum plugs can go for five years or 50k miles. TRANSMISSION - All ‘boxes are very tough. With care, the clutch can do 80k miles but replacement is expensive and involves removal of the front subframe. ELECTRICS - The body control module (BCM) in the dashboard is sensitive to water ingress (via the offside lower corner of the windscreen) and voltage spikes from jump-starting or the fitment of aftermarket extras such as HID lights. It’s extremely expensive to replace. SUSPENSION AND BRAKES - If the brake fluid is not changed every two years, water contamination can rot the brake pipes from the inside. Rear anti-roll bar ‘D’ bushes and front anti-roll bar drop links can wear. Check the front suspension hasn’t been damaged during clutch replacement. BODY - Generally rust-free but vulnerable areas are rear wheelarches, most nuts and bolts, and the exhaust system. INTERIOR - Leather suffers driver’s side bolster wear. Metallic finish on the dashboard is easily scratched and marked. The body control module governs the central locking, windows, lights and immobiliser. A common fault is all indicators remaining on, without flashing. A replacement costs about £1200 plus fitting, but an automotive electrician can repair it for about £200. £300-£999 - Mainly 2002-2005 2.0 SE-spec cars with over 100k miles. £1000-£1750 - Lower-mileage 2005-2006 cars in 1.6, 2.0 and 2.7 and SE, Yellow and Atlantic trims. Some high-mile 2007-reg SIIIs. £1800-£2495 - Many more 2007-reg SIII cars with around 80k miles. £2500-£2995 - More tidy, lower-mileage 2007-2009-reg SIIIs with all engine sizes. £3000-£3995 - Find the best SIIIs here. HYUNDAI COUPE 2.0 SIII, 2007/07, 77K MILES, £2200 - Bizarrely, the dealer is billing this as a ‘private sale’. It’s the pretty SIII facelift version. Full Hyundai service history and only two owners. The black leather looks a little creased on the bolsters but otherwise the interior is tidy. If it stacks up, it looks a bargain for £2000. £520 is so unfair when some smoking 5 year 80,000 mile diesel can get by on £30. I've got a 55-plate Series 2.5. Could thoroughly recommend the car. One thing to look out for is rust on the front edge of the bonnet either through stone chips or from water ingress from the welded seam on the inside lip. Parts are not always straight forward to find. The Series 2, 2.5 and 3 all may look similar but, for example, the wing mirrors are different.